ARCHOS are slowly making their way into the Android market, and while we’re still waiting on their smart watches and home automation products, they have today announced the Xenon 64, the first phablet from them. Featuring slick premium finish, with only 9,3mm thickness and a 6.4″ screen, it supports a Quad Core Processor and an IPS HD Screen. It also packs in 1GB of RAM. Being budget friendly, it retails for only £199! Probably the only thing holding this one back is the fact that it comes with Android Jelly Bean on it, though knowing Archos, you get pretty much the original Android, which means you can do what you like with it! 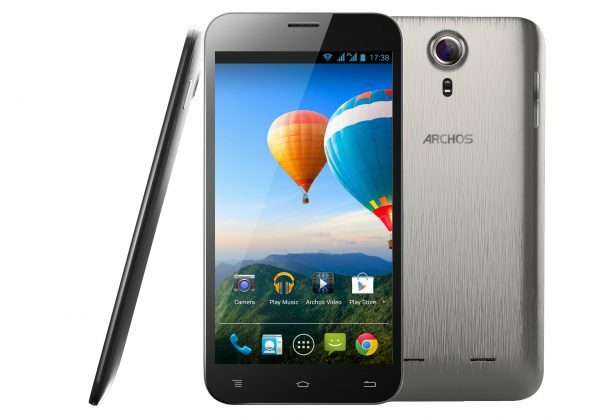 Interestingly, ARCHOS will be selling the Xenon 64 through QVC, on May 31st, or through their online store. Next story LG announce the G3!